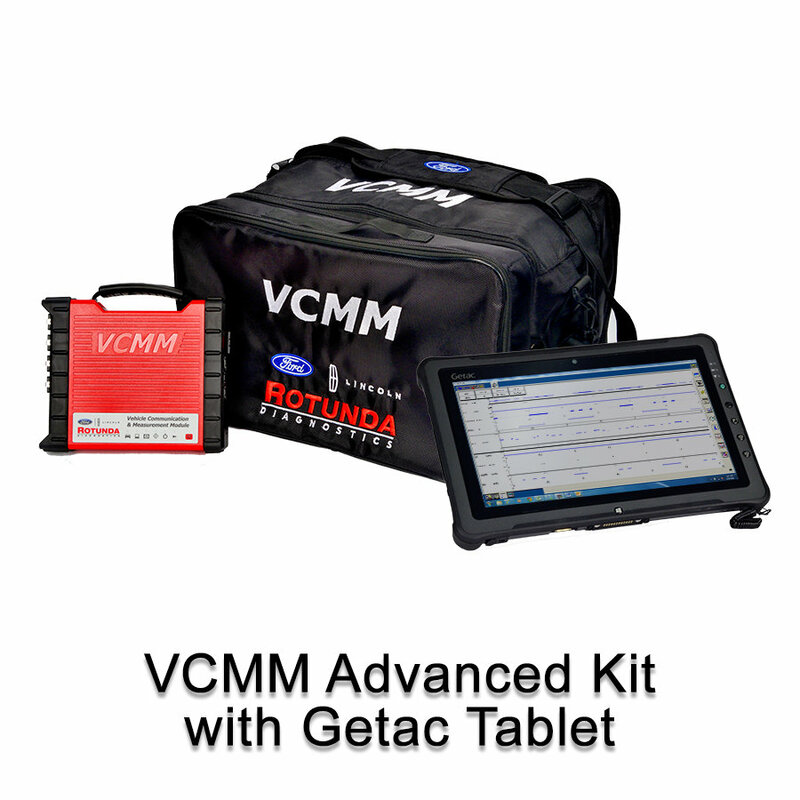 This fully rugged tablet is the preferred tablet from Rotunda that meets or exceeds the specifications to run the IDS software with the VCMM Dealer Kit. .
Ford VCMM Advanced Dealer KIT Hardware Kit which includes VCM 2, VMM, Vibration Analyzer and Oscilloscope. This fully rugged tablet is the preferred tablet from Rotunda that meets or exceeds the specifications to run the IDS software with the VCMM, VCM or VCM II. The Getac tablet has been thoroughly tested with the IDS software. See item 164-R9812 for current specifications.